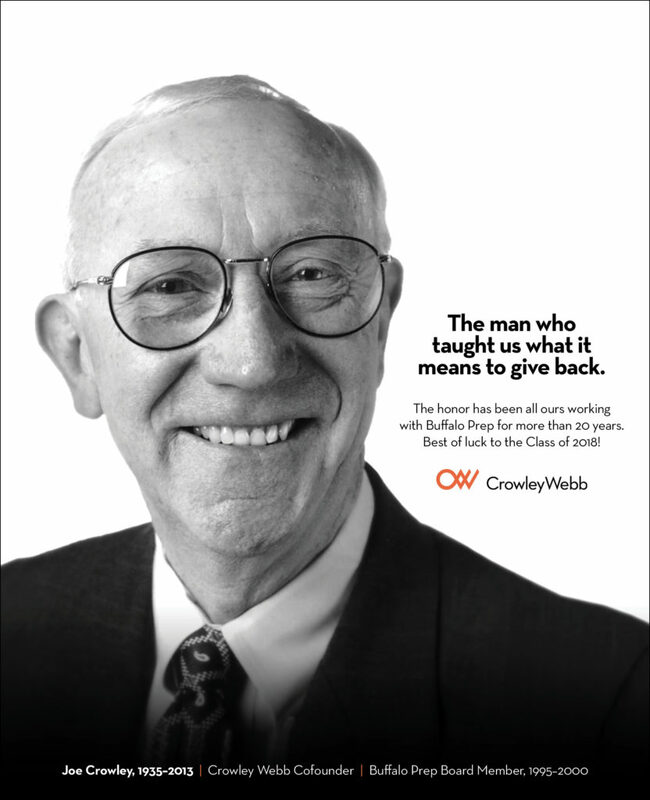 “I remember when I first joined Crowley Webb in the 90s, Joe Crowley, our founder, was on the board of Buffalo Prep. (We lost Joe five years ago, but his wife Pat is here.) 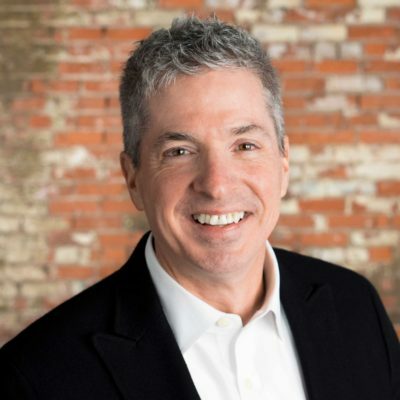 Giving back was important to Joe, and he loved Buffalo Prep, and would do anything to help. We had interns from Prep, designed the invitations for Celebration, brochures, logos, you name it, and still do to this day. Back then, as a young-ish art director, all I knew was they were fun, creative projects to work on, but it really didn’t sink in what Buffalo Prep was all about. I knew it was a program that helped underrepresented kids, but didn’t think much about it. I just didn’t understand. I didn’t understand how amazing the kids were. I didn’t understand the challenges they faced every day. The sacrifices they and their families made. I didn’t understand the dedication of the staff and faculty. I didn’t understand any of it. In 2014, I was asked to join the board of Buffalo Prep. And I’ve been able to see first hand how impactful it is, and how it changes the lives of so many. Now I understand the effort these kids make to succeed. I understand the daily up-hill battles they fight. I understand that for the staff and faculty, this isn’t a job, it’s a passion. And most of all, I understand how much they need and deserve our support. I’d like to thank all the Crowley Webbers who understand, and are here tonight. Each and everyone of them is involved in supporting Prep in some way. Like Rosalind, who wrote the Celebration invitation, and Lauren who works on the website, and Paige who volunteers on the Party for Prep committee, and Alessandro who is a mentor. They and so many others are carrying on the legacy Joe started 24 years ago. Joe always said you can never give too much. That it all comes back. And boy has it. Supporting Prep has been a labor of love for us. And it has been our honor. 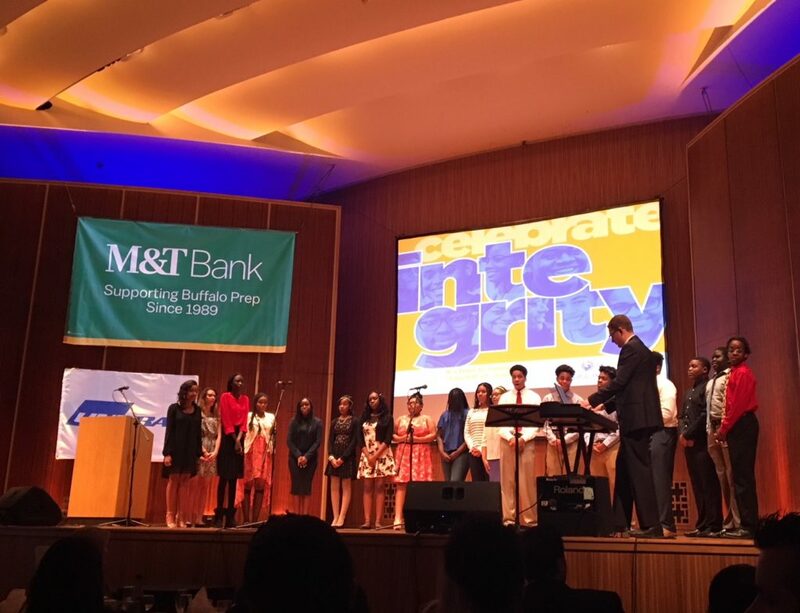 If you don’t yet understand what Buffalo Prep is all about, visit buffaloprep.com, and learn more.